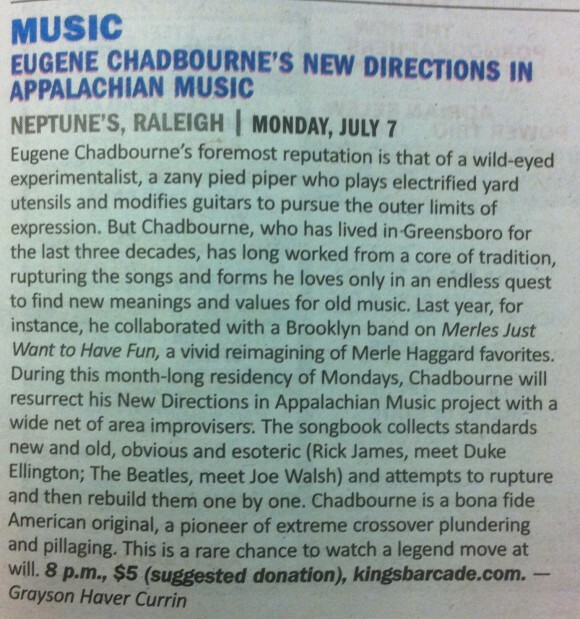 The madness that is Eugene Chadbourne returns to Neptune’s Parlour every Monday in July celebrating New Directions in Appalachian Music. 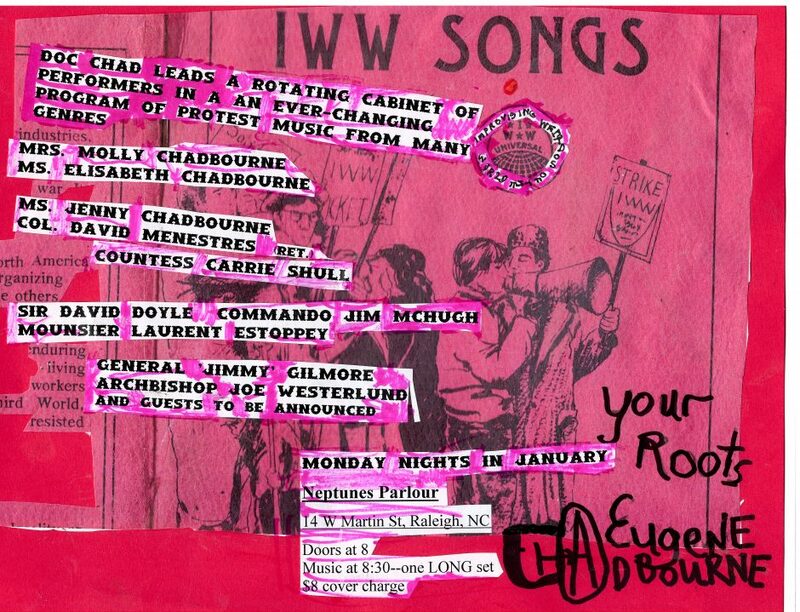 Much of the same gang that convened last summer for the Insect and Western series will be back for a focus not only on improvisation but country and western, rock and roll and my original songs — expect to see and hear David Doyle, David Menestres, Carrie Shull, Chris Eubank, Jeb Bishop and others. 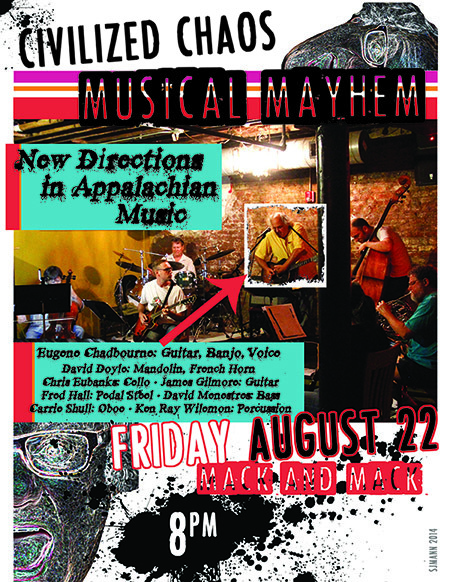 Go to the Moral Monday protests and then come see us at 8pm. 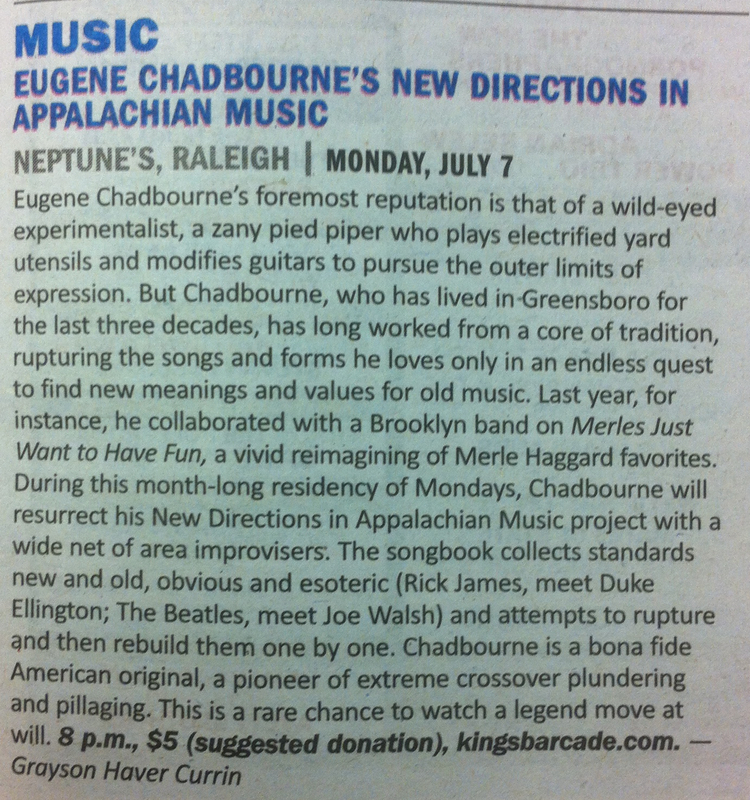 Two videos from last summer’s residency performing selections from the Insect and Western series. 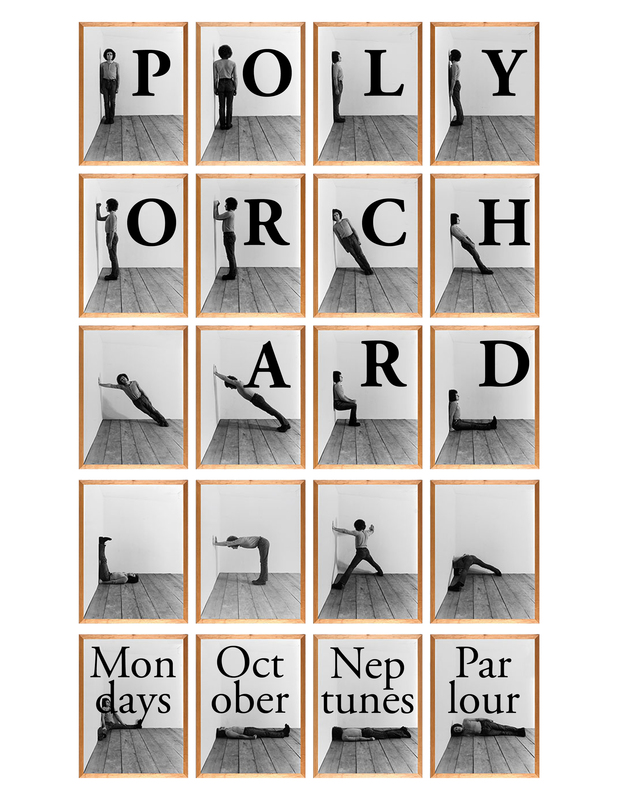 Shot by Dan Schram. 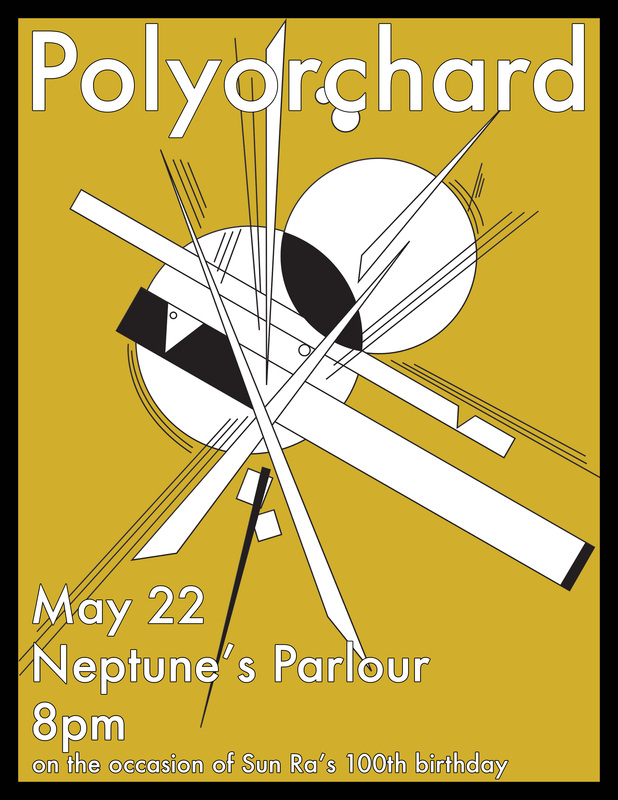 Polyorchard will be playing at Neptune’s Parlour on Thursday Nay 22, 2014. 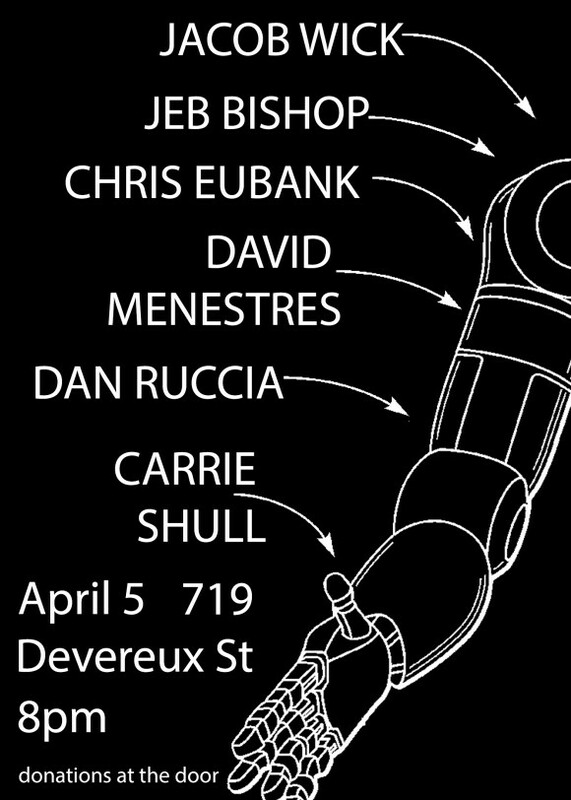 The lineup will be Carrie Shull, Jason Bivins, Sara Bloo, Chris Eubank, Julianna Thomas, Bill McConaghy, Ken Moshesh, & Jamie Keesecker.